After a particular session of my Program Evaluation class I was so moved that I wrote a long email to my family about what I experienced. You might be wondering what it is about program evaluation that could have had such an impact. Well here’s the deal: my program evaluation teacher evaluates various social service projects in Israel, which is already quite impressive to me, and therefore travels to Israel regularly. At one point she met a woman named Amal Elsana Alh’jooj, a Bedouin woman. In that class session we got to Skype with her and the word impressive does not begin to describe this amazing woman. To begin she was the fifth daughter in her family. In a culture where males are highly valued this was not such a positive thing therefore she was named Amal, which means ‘hope’ in the hope that her parents would have sons. Following Amal the next five children were sons! But Amal proved that there was more to her than being a harbinger of male children. She avoided the traditional route of a Bedouin girl, which would have meant spending most of her time in the kitchen with her mother, and began shepherding at age 5. In this capacity she would wander alone around the Negev desert with her flock. She said that she developed a language with them and that this was her first foray into community organizing. She also learned, through the support of her grandmother, to be loud in front of men even though her mother disapproved. Eventually Amal got an undergraduate degree in social work in Israel and a graduate degree in community organizing in Canada. She informed our class that in most cases, like that of most students at our school, students learn to bring theories to their future experiences. However Amal expressed how she had to bring her experiences to the theories she was learning in school and sometimes there was no theory for what she had experienced. The program (see a full description at the end of this post) that this interview focused on was one that she had developed for single Bedouin women, whose husbands left them for one of the husband’s other wives. But since these women were not legally divorced (something the women were unable to ask for because they risked losing custody of their children) the Israeli government would not provide them with public benefits. These women needed support. Amal also became aware of another issue. The Bedouin children in this small village were provided hot meals in school by the Israeli government. But the children did not like the hot lunches that were provided because it was not the food they were accustomed to. Amal found a way to bring these needs together into an opportunity, she decided to set up a kitchen where these women could cook and run a catering business that provided meals for their children in school. Originally when she told the Israeli Ministry of Education her plan they informed her that the kitchen would have be open at least two years to meet the requirements. But Amal explained the situation to the Minister and he found a way to approve it. Now Ministry buys meals from this kitchen for distribution to the schools in that village (Hura). The children eat and enjoy the food and the women are independent and making money. The kitchen now earns a profit and these women have decided to regularly share some of the proceeds, the most recent fund was for a scholarship for Bedouin girls to go to college. At the beginning the local men vandalized the kitchen. But Amal organized a meeting where the men were included, when they had not been originally. She learned that this was all they really wanted, they wanted to be heard because they were struggling with joblessness as well. Amal pointed out that you cannot do community work if certain members of the community are excluded. Now these women employ local men who do jobs like delivering the meals. 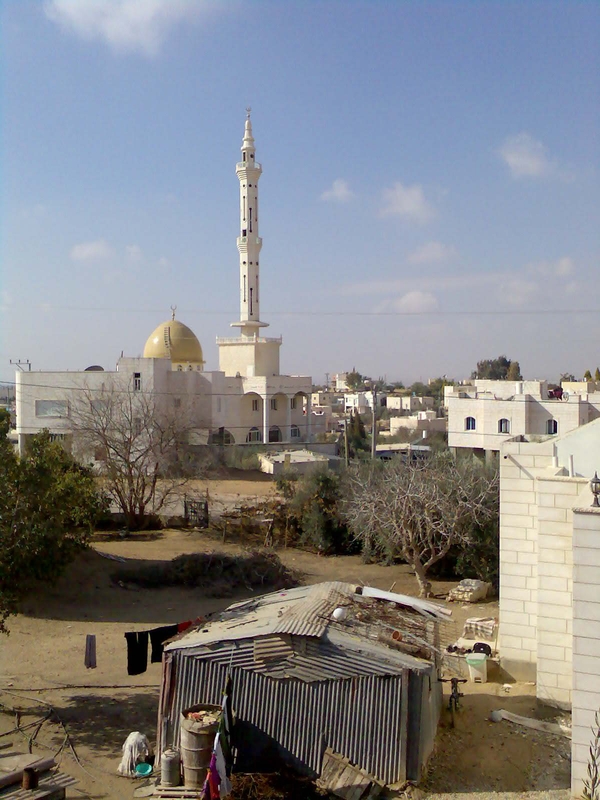 Other Arab villages have become interested in replicating the program including Rahat, the largest recognized Bedouin village in Israel. Amal spent 3 years navigating the bureaucracy of it all to accomplish this. When they had to put the kitchen in an area that did not get electricity she called the appropriate ministry, met the minister, explained how it did not make sense that there was no electricity in an area where more jobs could be created and within a week they got the electricity installed. Now various businesses thrive there including businesses that have sprung up to support the kitchen so now they do not need to go outside of Hura for many of their supplies. It is very self-sustaining. This woman travelled all around Israel to make this happen and though there were a lot of issues she was able to convince these various ministers and government officials to support this endeavor. Hura has become a success story not only for Bedouin women but for Arab villages in Israel as well. A lesson Amal shared with us was that if you do not find the answers you want, create them. Eleven single mothers (widows, divorcees and women whose husbands have taken second and third wives and left them and their children without support) from the townships of Hura were trained as caterers during 2005-6, in preparation for the establishment of catering enterprises in their towns. These enterprises will provide hot meals for school children as part of the national “hot meal” plan in the primary school system. This project was made possible by the support of the UJA Federation of New York, The Royal Embassy of the Netherlands and the Levi Lassen Stichting. The Hura catering enterprise, which will provide approximately 3,500 daily meals contracted for by the Hura municipality, was renovated and equipped to meet the standards of the Ministry of Health. In addition to the lunch meals for school children, the women will also open up a restaurant that will serve the people working in the industrial area, where the catering enterprise is located. During its first three years of operation, this business will be run by a ‘public benefit company’, after which it will become a cooperative, owned by the women themselves.